When it comes to outsourcing technical challenges to IT suppliers, businesses want to receive competent services with minimal downtime without any side effects on their end-users. Keeping clients’ business processes running without interruptions may be a tough challenge, e.g., conducting major system updates or full-scale infrastructure migrations to a new data center. Leading such projects to success is the task for true experts. In January 2016, an Infopulse customer approached our team with the need to update and migrate almost all company’s SAP-based systems to a new data center and implement fundamental changes to the database. Read our success story on a full-scale SAP infrastructure migration with near-zero downtime. Our long-term client (name under NDA) is a leading B2B digital services provider with headquarters in the European Union, more than 40 years of experience, 10,000 employees worldwide, and over EUR 2 billion revenue. The scale of our client’s business calls for the highest quality of services. Thus, the company has to use only the modern-day software and systems. 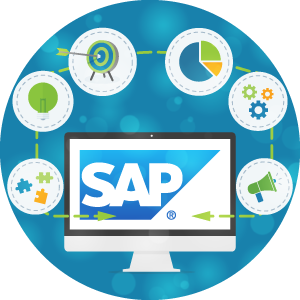 Infopulse has been supplying SAP solutions and related services to the customer since 2015. One of the challenges we faced was to upgrade a complex of SAP systems and migrate them to a new, more efficient data center. As a reliable SAP partner and VAR support provider, Infopulse readily engaged into the project. Minimize the involvement of end-users in the testing processes. Ensure minimal downtime during migration. We used SAP PI to integrate external and internal applications with all company’s financial business processes. In the meantime, our team had to implement new SAP HANA database as a replacement for the legacy MS SQL DB to enhance all systems’ capabilities. All these improvements are necessary for an upcoming fundamental update of the client’s business management software to SAP S/4HANA ERP, which offers a suite of advanced in-memory financial and accounting solutions. 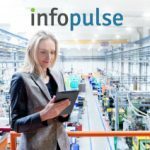 This migration is the next challenge for Infopulse, which will allow merging existing transactional, analytical, and planning systems into one, and empower end-users with a real-time overarching financial analysis. The success of any migration is determined by the percentage of functions availability after the first launch. Depending on the importance and the service level, this index may vary from 85% to 100%. Infopulse had to provide no less than 99% of services availability. The preparations started in January 2016, as soon as our client located the most appropriate data center to store their SAP infrastructure. In February 2016, Infopulse conducted a test migration of SAP ERP and SAP PI systems snapshots to measure the time required for future full-scale software deployment, installation, upgrading, post processing, and further configuration. Upon collecting and analyzing test data, Infopulse team identified further steps. After setting up the first sandbox during the test migration, our specialists had to customize the functionality, analyze all related changes, and retarget all interfaces in parallel with ongoing tasks. The Infopulse team conducted an in-depth testing to minimize the downtime, and identify all possible issues and side effects, which showed up during the test migration and upgrade. Timing was of great importance for this project. We needed to proceed without delays, as the final migration and services interruption could only be conducted on certain dates when the country was celebrating public holidays and most companies were having days off. One of the key success factors was strong communication between the Infopulse team, customer, and the data center representatives. More than 10 Infopulse experts handled the technical part: testing, maintenance, validation, system’s realignment etc. 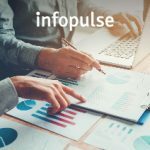 Before the launch, Infopulse team tested and analyzed all client’s business processes, and conducted weekly pre-testing with end users, previously not involved in any underway tests. In the end, we finalized the delivery without hitches and all systems worked as expected from the start. Properly Planned Work Is a Simple Recipe for Success. Even if a challenge looks easy at the first glance, each step should be made with observance. Sometimes, simple tasks need meticulous work. The professional approach should be the core of all services regardless the complexity of the projects. 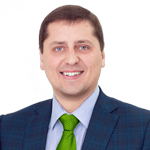 Well-organized business processes, timely communication, and comprehensive preparations are essential for the success of the project. The Infopulse team met the challenge on time, in line with all of the client’s requirements and saving end-users from critical business continuity interruptions. Our work on this project will help in future to update and reshape all client’s business processes, preparing the enterprise to the SAP S/4HANA ERP migration. Stay tuned for our new blog posts to learn more about our business-transforming SAP HANA projects. 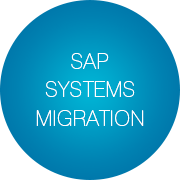 Looking for experts to assist with your SAP migration project? Let’s talk!